During the installation and commissioning of systems, FS-FHSS interpretation system and IR interpretation system have different characteristic. Above all, on account of different technical characteristic, there is huge difference between the configurations of systems. Therefore, the technical requirement for the system installation is different. FS-FHSS simultaneous interpretation system utilizes frequency selection and frequency hopping technology, takes advantage of the unique baseband modulation mechanism, so within the system, one frequency point can transmit 4 channels data, one WAP could transmit 8 channels of audio data. Take six official languages in UN for instance, to realize 6 channels simultaneous interpretation, the customer just need one WAP to meet the demand, the extra two channel could be spare channels. The system configuration is so simple that the deployment difficulty for technicians is dramatically reduced. Because of the physical property of IR interpretation system, the system is limited by the factors mentioned above. Consequently, the number of IR radiators could be changing dramatically, from two to dozens, even close to one hundred in the large-scale outdoor conference. When it comes to the installation of numerous IR radiators, the installation place and angle of each IR radiator should be considered( the best installation way is multiple ceiling mounting). What is more, the complicated wiring project, installation and commissioning, especially in the ancient dome building, is extremely difficult. Although the professional manufacturers have provided clear manual to guide the installation and commissioning of IR simultaneous interpretation system, it not professional technicians, it would be hard to master. The diagram of IR radiators installation in classroom style conference. 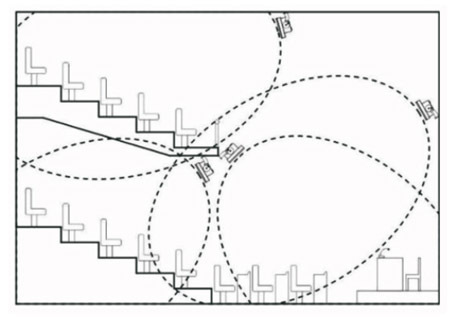 The diagram of IR radiators installation in multiple floors conference hall. The installation of WAP in outdoor conference. After installation, it comes to the key part of the deployment: System Commissioning. 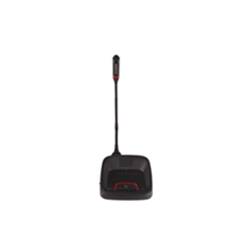 FS-FHSS simultaneous interpretation system could monitor the wireless environment before conference, select the usable frequency points, provide multiple backup frequency points. During the operation, if the operating frequency points are interfered, the system would hop the frequency between backup frequency points , which avoids interference initiatively. During the beginning of the development of the system, it came up with the product idea as Needn’t Commissioning， which could reduce the workload of technicians effectively. 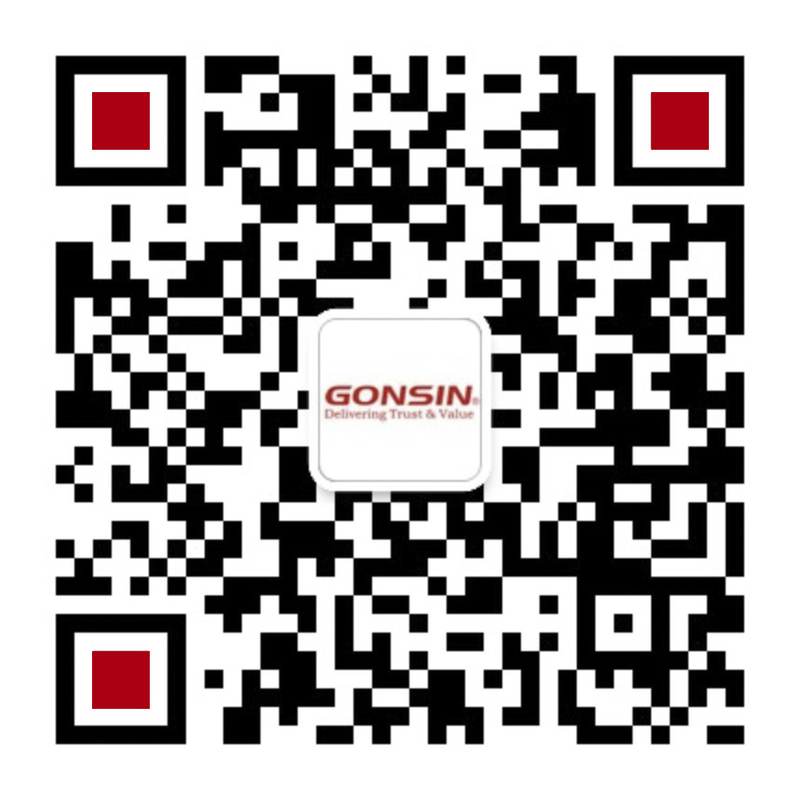 The end-user without any technical experience, after short-time learning, could operate the product easily. 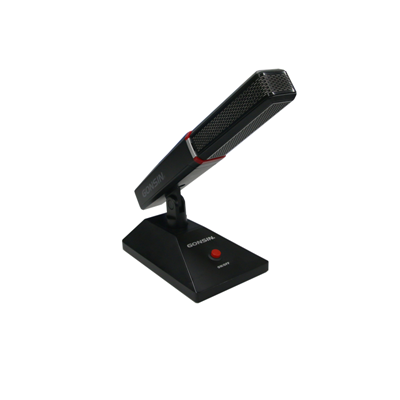 As for IR simultaneous interpretation system, if it is applied in the indoor small size conference with clear conference environment, no obstacle, no high-frequency light source, not especial indoor decoration, a few participants, the commissioning of it is relatively easy. 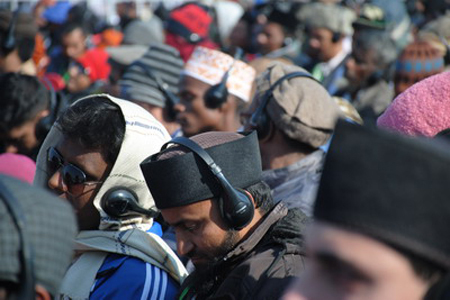 But, in fact, the conferences that require simultaneous interpretation system are medium and large-scale conferences, especially large-scale international conference with thousands of participants. The outdoor conferences account for a certain proportion. When the large-scale IR interpretation system is commissioning, the signal attenuation cased by multiple IR radiators should be considered. Meanwhile, adjusting the consistency of the IR radiators when they are installed, how to control the voice delay and other installation solutions would be enormous challenges for the technicians. It would be extremely difficult to deploy and debug. During the installation and commissioning, the technicians should consider a real and important question: the system signal coverage. 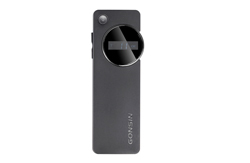 If it is applied in the small conference, two kind of product could make it easily. 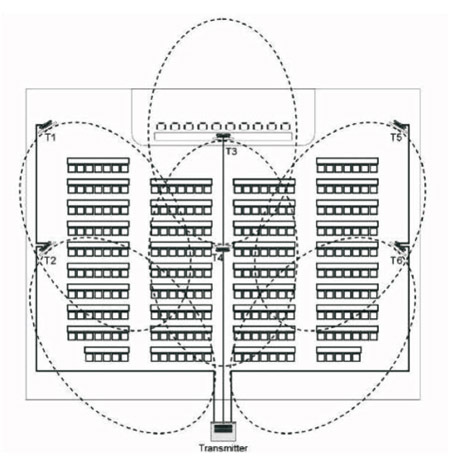 However, in the medium and even large-size indoor or outdoor conference, FS-FHSS simultaneous interpretation system utilizes the advanced multipolarized intelligent antenna utilizing the perpendicular decline technology, equipped with software to analogous compute and auxiliary compensates by system power, which can precisely control the radiation signal to the designated area. The technicians could adjust the signal emission power in according to the customer requirement, the adjustable rang is from 50m to 500m. The customized system could cover even 2000 meters. Meanwhile, the amount of WAP could not be increased with the larger coverage. However, the transmission range of the IR radiator depends on the device power, the coverage range of the main bands is different. In fact, the signal coverage should be affected by the conference environment. 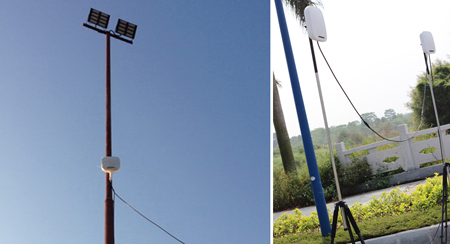 The normal product could cover from 25m to 35m, within the signal coverage, the signal stability could be different. At the same time, with IR simultaneous interpretation system, to cover 500 meters even 2,000meter and to realize the same reception within the coverage, require numerous IR radiators. The deployment difficultly is considerable, not to mention the outdoor application.